Hear a podcast on the importance of fathers. Listen to a podcast on coping with crying in infants and toddlers. Click here to read about Early Childhood Mental Health services for young children. Our community is committed to helping young children develop in all areas so they’ll be ready for school and life. For questions, tips, and suggestions about how to encourage your child’s social, emotional, and behavioral development, first talk with someone who knows your family – your health care provider, your child’s early childhood teacher, or another child development professional. Enroll in one of our community’s home visiting programs, and take a parenting class. The Pinon Project offers The Incredible Years Parenting Class to help you promote your child’s social-emotional health and behavior. Axis Integrated Health System also offers a free, 12 week Incredible Years Parent Series for parents of children 2 – 10 years old. Contact Della Pope at 970-335-2316 for information. Below are other resources we think are helpful, too. Dads: The Responsible Fatherhood Class is free and offers support, tips, and tools for Dads. 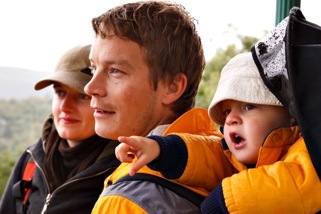 For online advice, the Colorado Fatherhood Council sponsors the Colorado Dads website, full of useful tips and articles. Parents of Newborns: New parents sometimes feel overwhelmed and stressed when their baby fusses and cries, seemingly for no reason. If you think your child is unusually fussy, or just aren’t sure and would like some support, visit The Fussy Baby Network or call their toll-free Fussy Baby Warmline at 1-877-627-9227 and leave a message. A trained team member knowledgeable about infant development and parenting will get back to you within 24 hours. or 1-800-CHILDREN to talk with a trained expert. Leave a message and your call will be returned within 24 hours. For Spanish call 1-866-527-3264. Podcast series: be sure and listen to those linked in the sidebar, as well as those on sleep, self-esteem, and self-control. Age-based handouts: 9 short charts in English and Spanish, that summarize what your baby should be doing at different ages, what you can do to help, questions, and a spotlight on a common behavioral issue for each age. Brochures and guides: brief handouts on most topics of interest to parents of infants and toddlers. Books to share with infants, toddlers, and preschoolers about feelings: you’ll find books on feeling, fears, friendship, grief and loss, and more. Tips and tools on dealing with challenging behavior: resources on everything from biting, self-control, temperament styles, aggression, defiance, etc. 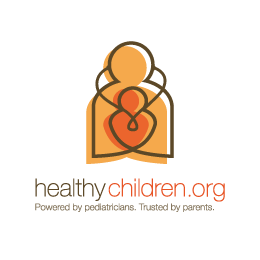 HealthyChildren.org by the American Academy of Pediatrics, has articles and podcasts on emotional wellness for children birth through adolescence here, communication and discipline, here. The Colorado Family Education Resources and Training has a lending library from which you can order materials that will be sent to you. Check it out here. The Center on the Social and Emotional Foundations for Early Learning has a variety of parenting resources about behavior – click here.